Celebrate the tradition of the Easter egg with this colorful graphic. A field of powder blue sets a pleasant background for six brightly decorated eggs. The central egg in the top row is inscribed with the words "Easter eggs" in a cheerful cursive font. To the left, right, and bottom, five more eggs demonstrate a variety of designs. They seem to pop off of the page thanks to clever shading. 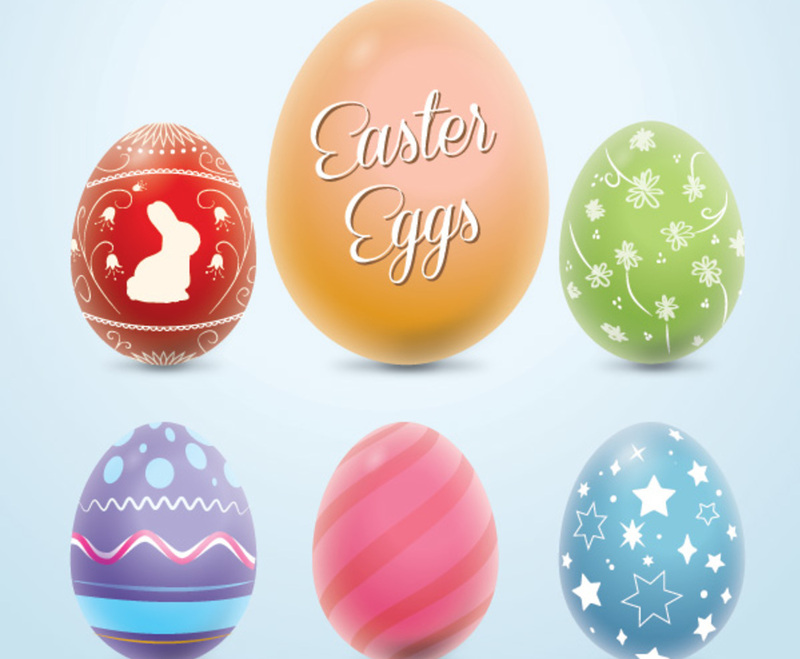 The various egg designs seem bright, cute, and cheerful, and the largest egg gives you a clever way to send a message to your audience. It's a fun way to observe the Easter holiday.